The clever ‘From Birth Kit’ from Uppababy allows you to convert your Minu Stroller into a lie-flat pram which is suitable from birth. By allowing newborns to lie completely flat, the From Birth Kit Accessory creates an optimal resting environment for your baby. 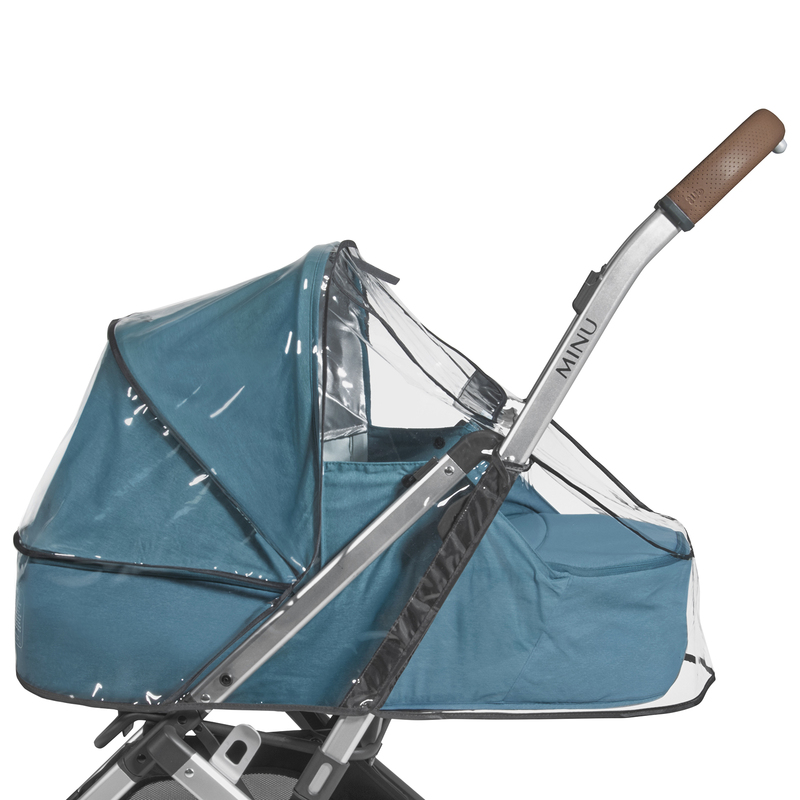 The extendable sunshade offers UPF 50+ protection and allows baby to safely enjoy the sunshine. Unzip the canopy to increase the airflow and to help keep baby cool and comfortable. A rainshield is also included to keep your child dry in any downpour.